This edition of 1775 is dedicated to “US Army Recruiting.” Critical to the success of our nation’s Army is the recruitment of “volunteer Soldiers capable of effectively executing operations in the Army’s complex operating environment.” Since the end of the Vietnam War, Army recruiters represent the “All Volunteer Team sustaining an All Volunteer Army with Soldiers who exhibit the deportment, attributes, and values of a dedicated professional, enabled by leading edge technologies and premier recruiting practices, while maintaining mutually supporting relationships with families & communities.” US Army Recruiting Command (USAREC) and the US Army Recruiting & Retention School (RRS) lead the Army’s recruiting efforts across our great country, to include the professional military education of detailed (various MOSs) and professional (CMF 79) recruiters. USAREC and RRS lead the way in article submissions for this 1775 edition to tell the Army’s recruiting story. Additionally with this edition, please enjoy the “new” format and layout of 1775 as we attempt to modernize our magazine as a 21st Century military journal for Army HR professionals. 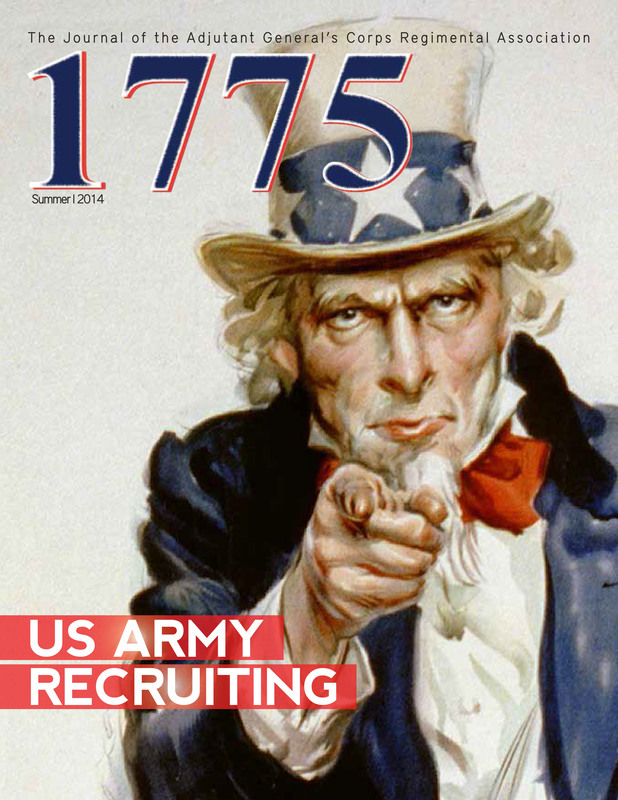 We hope you enjoy this edition of 1775 highlighted by articles depicting the “US Army Recruiting” mission and the dedicated, hardworking team of Army-wide recruiters who continue to maintain the high quality All Volunteer Force the United States depends upon today.